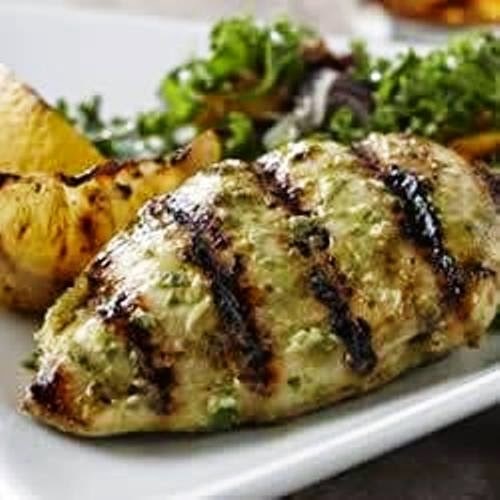 Lightly pound chicken to an even 3/4-inch thickness. Pat chicken dry using paper towels and place in a large reseal able plastic bag. Combine lemon peel, lemon juice, garlic, salt, oil and basil in a blender or food processor.